The volunteer organisation helps boaters during emergencies and other situations did not refer the incident to the police. Marine Rescue shared the images on social media, calling the incident a kick in the guts. 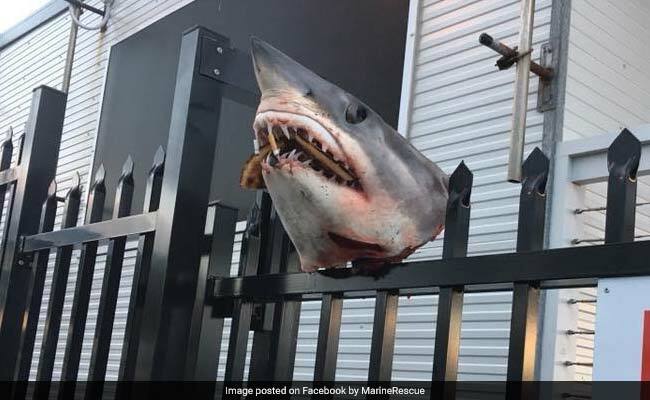 Sydney: A severed shark head, stuffed with cigarette butts and ocean debris, was found impaled on a fence at an Australian marine rescue organisation's office, with the gruesome discovery drawing criticism on social media. Marine Rescue NSW volunteers at Shellharbour, some 100 kilometres (62 miles) south of Sydney, arrived for duty Sunday morning to find the head of the mako shark. Regional operations manager Bruce Mitchell told AFP it was the "first time I've ever heard of it anywhere", adding that it appeared the shark was fairly fresh and likely to have been caught on Saturday. "Whoever caught the shark brought it back to the (boat) ramp and cleaned it, and cut the head off," Mitchell said, adding that the whole creature would have weighed about 70 kilogrammes (154 pounds). "Maybe someone (else) came there during the night, found it and thought they'll have a bit of fun. That's one possibility." Mitchell said the volunteer organisation -- which helps boaters during emergencies and other situations -- had not received any threats and did not refer the incident to the police. Marine Rescue posted photos of the head on Facebook and Twitter and said the incident was a "kick in the guts for our committed volunteers who give up their time to save lives on the water". "Takes one messed up human to do something like that," one Twitter user wrote, while a Facebook commenter said: "Someone with a macabre sense of humour."